There is no doubt that Mercedes-Benz builds one of the best cars in the auto industry today, and even if I`m not much of a fan, I have to admit I have seen plenty of high-end and impressive models lately. One of them is the long-expected 2017 Mercedes-Benz V220, an exceptional van with exceptional characteristics for everyday use, recently kicking off in Australia. The new van is already available in dealerships across the country and can be had for at least $58,100 in the entry-level Valente BlueTec version. You can also choose between the mid-entry BlueTec, available at $74,990, or take home the top of the line, which comes with a price tag of $87,200. And even if you think that it is quite expensive, it comes with the best features you need to satisfy all your business purposes. 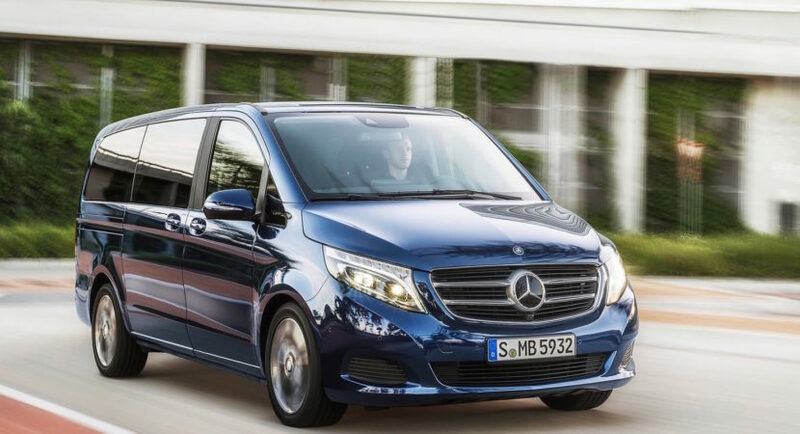 Visually, the new Mercedes-Benz V 220 van looks extremely aerodynamic and aggressive, thanks to the new 17-inch alloy wheels and a couple of new tweaks at the front and rear. The car`s main highlights remain however inside, the cabin boasting with plenty of cargo space and the latest gadgetries. Amongst the top features, we should mention leather seats, 7.0-inch infotainment system with plenty of apps, reverse camera, as well as a serious of driver technologies – active parking assist, collision prevention assist, attention assist, or lane keep assist. In the engine department, the all-new V 220 brags with the same yet extremely powerful 2.1-liter turbo-diesel flat-four engine, with 120 kW and 380 Nm of torque, being sent to the wheels via a seven-speed automatic transmission.